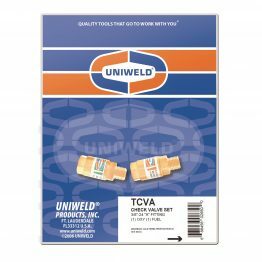 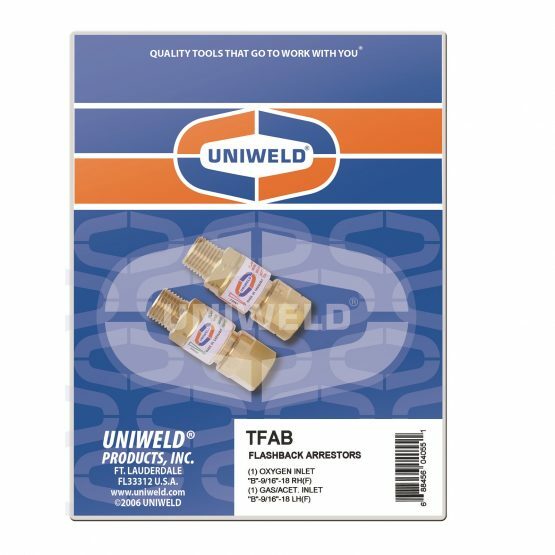 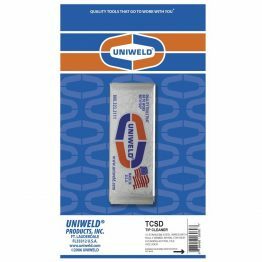 Flashback Arrestors – Uniweld Products, Inc. 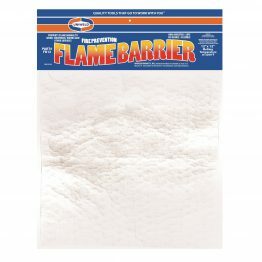 Available for torches and regulators. 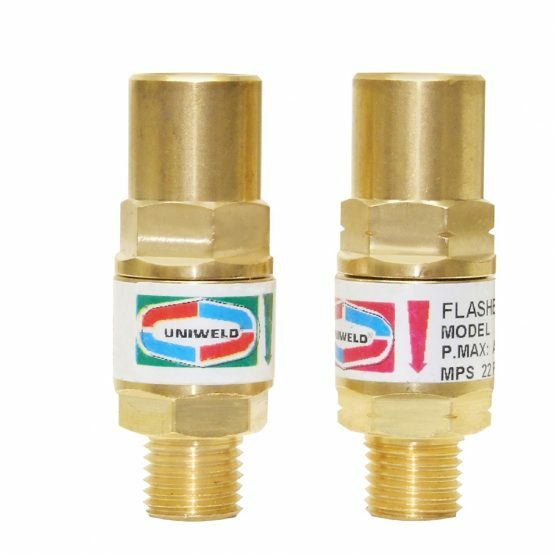 Flashback arrestors quench backfire and flashback at the torch or regulator. 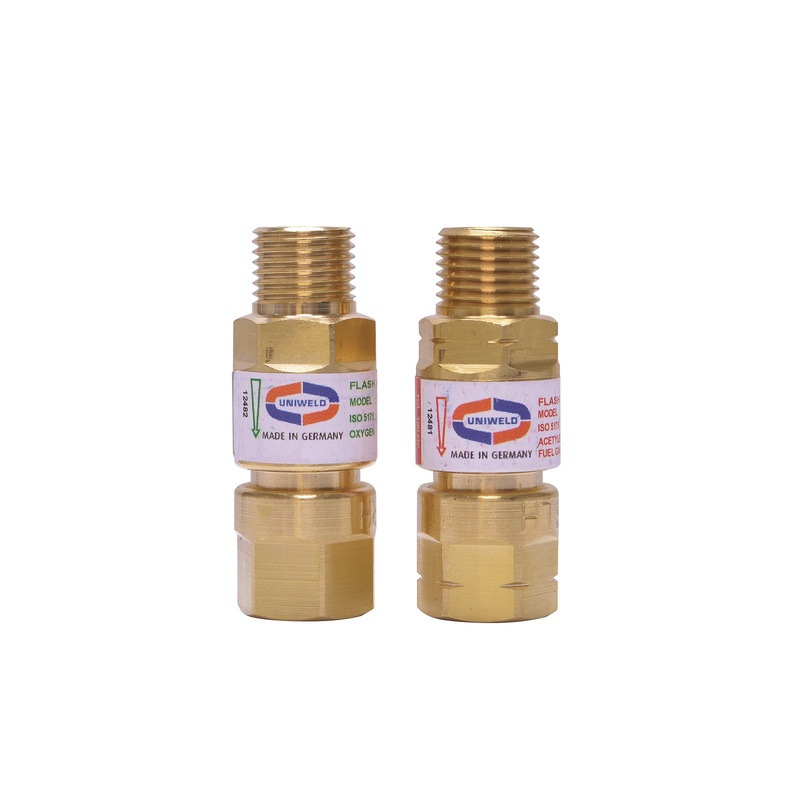 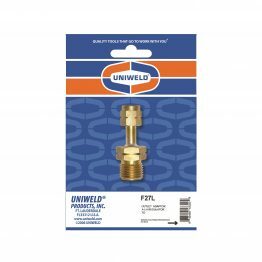 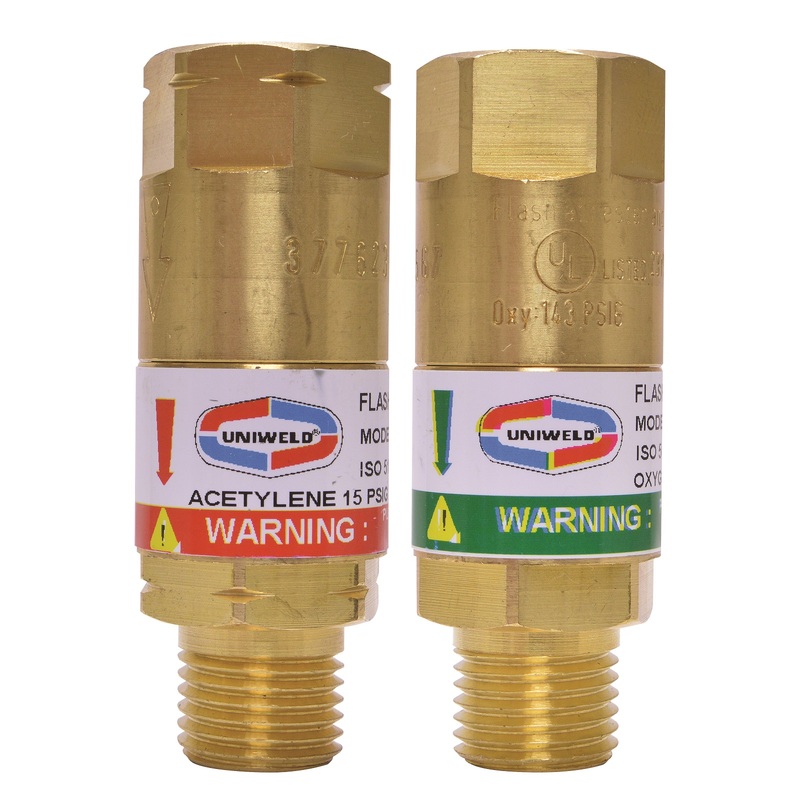 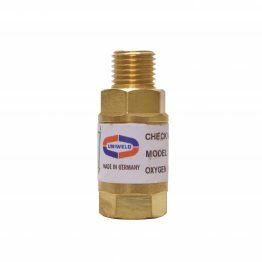 Uniweld’s flashback arrestors also have built-in check valves to prevent reverse flow of gases. 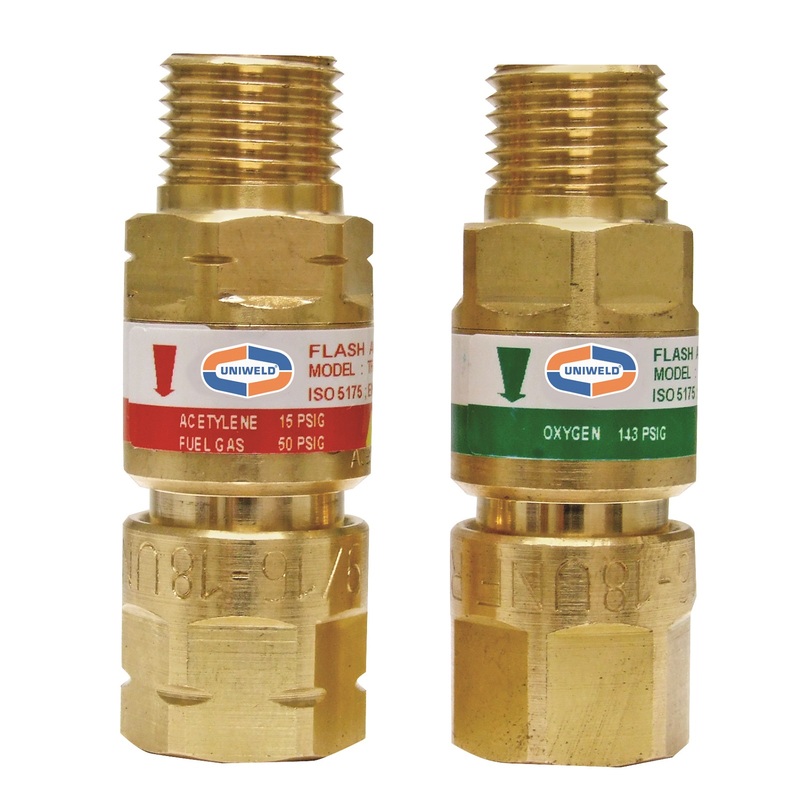 They are color coded, Green: Oxygen and Red: Fuel Gas, and are available for torches and regulators. 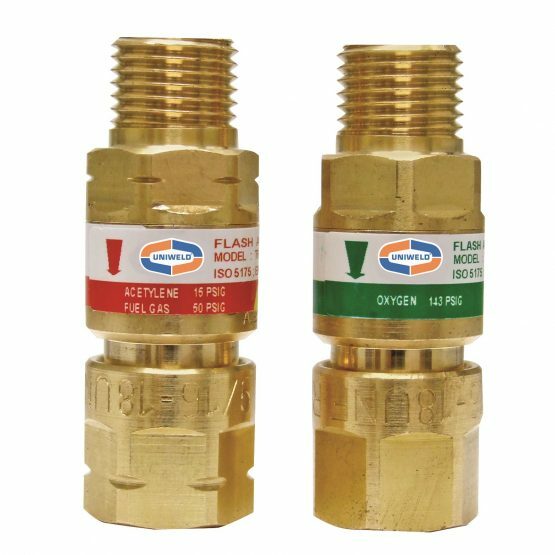 Flashback arrestors installed at the torch help protect the technician and at the regulator help protect the equipment.